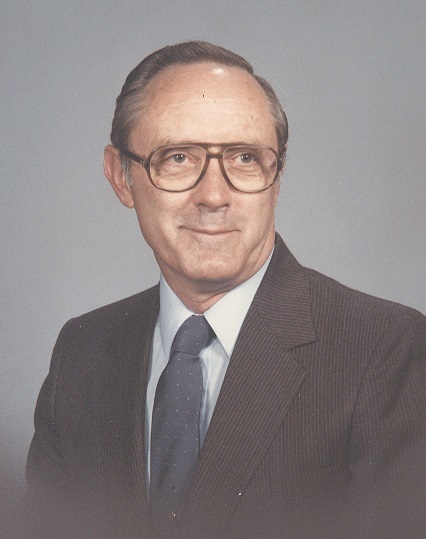 Martin William Lippe, Independence, MO passed away September 8, 2018 at Autumn Leaves of Lee’s Summit, MO. He was born February 25, 1929 at Priddy, TX, to Fritz H. and Annie (Bufe) Lippe. He served in the Army at Ft. Leonard Wood, MO. He married Elsie Hinck of Concordia, MO. They were married 63 years. They were blessed with two sons Mark, (Mary) and David (Valentine). One Granddaughter, Sarah Lippe. Preceded in death by parents, brothers John, Fritz, and Ben Lippe, sisters: Joe Ann Gholson, Lydia Schlueter, Velma Bretting, Martha Hosum. Survived by wife, Elsie, Sons Mark (Mary), David (Valentine), granddaughter, Sarah, Sisters Ruth (John) Cleckler, Katie Richards, Lena Teinert. He was employed at Schick Tube-Veyor Corporation, Kansas City, MO, for 33 ½ years. A Special thank you to all the staff at Autumn Leaves of Lee’s Summit, MO. Memorials given to St. Paul’s Lutheran Church, Independence, MO. May God comfort and bring you peace in this time of loss. The most comforting thing is knowing he is now in heaven with his Lord and Savior. My dear Uncle Martin was a wonderful influence in my life and I will miss him greatly. His stories about his childhood on the farm will live in my memory forever. He was a great Christian man and a good example for all of us to follow. There must be joy in heaven with his family members who have gone before him. Rest in peace, dear uncle. May God give you extra strength in this difficult time. We are comforted in the fact that Uncle Martin had a strong faith in his Lord and savior and that he is now relieved of his physical problems. The world lost a little of the Light of Christ in his passing. Love & blessings to you each one. Martin: RIP. Condolences to Martins close and extended family. So sorry for your loss! He is now at peace enjoying the life with Our Savior. Take comfort in the fact, Martin knew and loved his Lord. Prayers for comfort for all of you! Rejoicing with the angels that Uncle Martin is with our Lord. Prayers for peace and comfort for those he leaves behind. We will see you again, Uncle Martin. David, I am so very sorry at the loss of your beloved father. My thoughts and prayers are with you and your family at this sad time. The earth is lessened by the absence of my Wife's (Donna) Uncle Martin. I remember him well from our (too brief) visits at his siblings' homes and during other visits. The news of his passing didn't fully hit me until I saw his smiling face above, and brought back those memories of our talks. As we here have lost him, heaven has gained a valuable soul. God Bless him and may his passing give us hope of seeing him on the other side. May our gracious and loving God surround you with His love that passes all understanding. We were blessed by knowing Uncle Martin. Aunt Elsie, Mark, Mary, Sarah, David and Valentine our thoughts and prayers are with you as you mourn the earthly loss and join you in the Thankfulness of Heaven. With gratitude, love and affection we care for you. May you feel God's comfort, love and peace during this time and always. It is such a blessing that Uncle Martin is no longer suffering and is at home with God and is completely healed. I will always have good memories of visiting with him whenever he made it to Texas to visit. You all are in my prayers. Our Lord Jesus promises that those who trust in Him will live with Him eternally in heaven. We will miss Uncle Martin too and pray that you will receive comfort and peace as you have this assurance of and eternal life. God bless you Aunt Elsie, Mark, Mary, Sara, David, and Valentine. We pray for special comfort knowing that "our citizenship is in heaven. And we eagerly await a Savior from there, the Lord Jesus Christ, who through the power that enables Him to bring everything under His control, will transform our lowly bodies so that they will be like His glorious body." (Philippians 3:20 - 21) We will miss Uncle Martin also but rejoice in His eternal home in Heaven. Love and peace to you, Aunt Elsie, Mark, Mary, Sarah, David, and Valentine. So very sorry for your loss. May God send His angels to wrap their wings of comfort around you and your family. You will be in my thoughts and prayers.